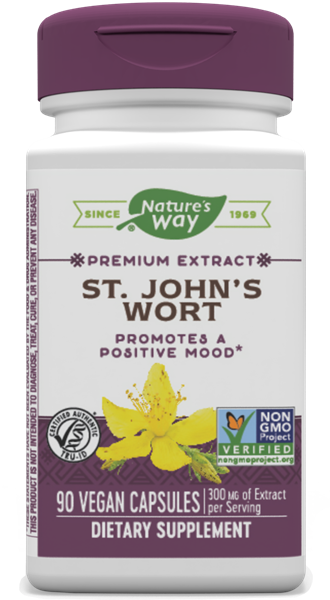 St. John’s Wort / 90 Caps - Nature's Way®. Take 1 capsule 2-3 times daily, preferably with food. Best results obtained with continuous use. Caution: Do not use if taking any medications without seeking advice from your healthcare professional. Avoid excessive exposure to UV radiation (e.g. sunlight; tanning) while using this product. If pregnant or nursing, consult your healthcare professional before use.